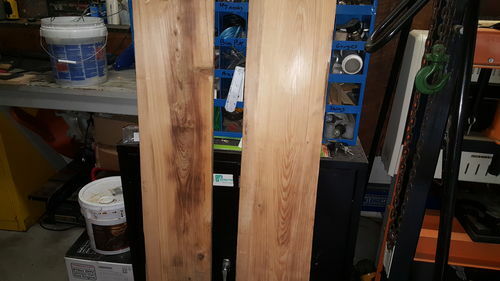 Hello everybody, I have some boards I am currently planing, but I do not know what kind of wood they are. 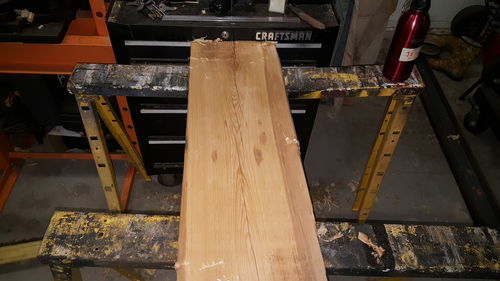 They are almost without a doubt all the same wood, so I included pictures of them all. A little bit of info about them. 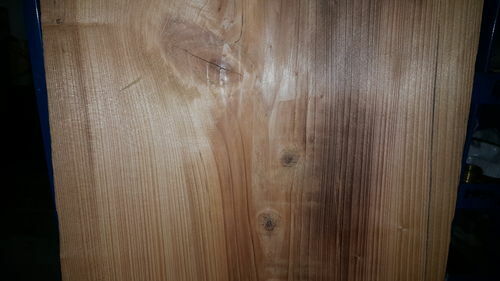 The wood is somewhat hard, has a visible grain, and is mostly a golden color. The boards also have dark brown streaking through them. An interesting thing to note is that the shavings from the wood smell good, almost sweet. I do have my suspicions as to what it is, but id like to see what you guys think. Any guesses would be appreciated!